Is the vinyl siding on your house melting or warping for no reason? Well, this is a much more common problem than people realize. It is almost always caused by the sun reflecting off a nearby window onto the siding. 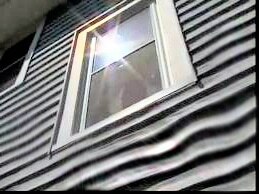 Stop the Sun from reflecting off of window glass and melting and warping vinyl siding with EZ Snap exterior shades. The window acts like a magnifying glass, concentrating the sun’s energy onto a small area. Temperatures in these hot spots can soar into the hundreds of degrees. This phenomenon causes thousands in damage, but the good news is now there is a simple and quick solution. 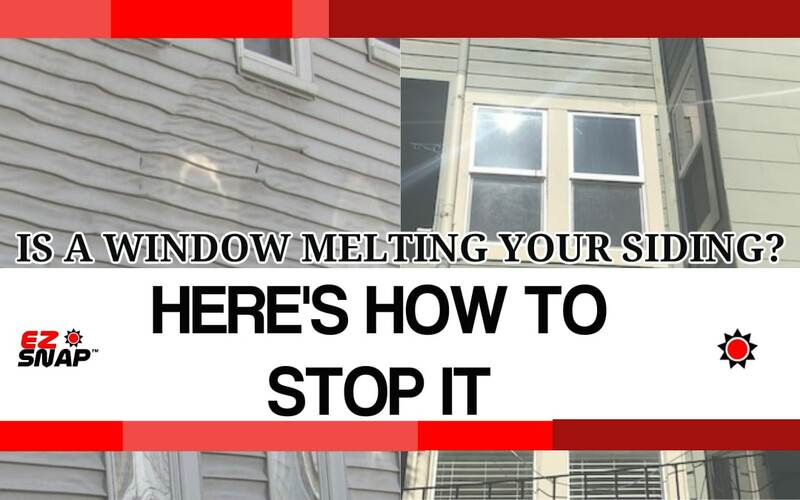 So how do you prevent Melted Vinyl Siding from window reflections? These easiest and most effective way to stop the reflecting sun rays from melting and warping the vinyl siding, is to block them from reaching the siding in the first place. Now, you could plant a tree and wait 10 to 20 years, but there is an easier way…. Exterior window shades stop the sun from not only entering the window, but also stop it from reflecting off of the glass. You end up not only stopping the sun from melting the siding, but the exterior window shade also substantially cools the room with the window. A do-it-yourself exterior shade system like the EZ Snap exterior shades can be easily installed be someone with no previous experience. They are also very affordable, costing a little over $2 per square foot. If the offending window happens to be on your neighbor’s house, they are so affordable, you can offer to install the EZ Snap exterior shades for free for them. This saves them money on their air-conditioning bill and you instantly stop the sun from damaging you vinyl siding.